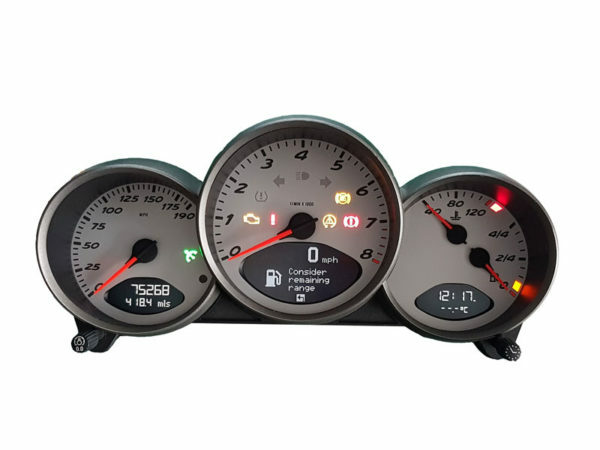 A professional repair service for your Porsche Cayman instrument cluster. Turnaround is 2 days if we receive it by 1 pm, which is possible if you send it by Royal Mail Special Delivery (£11). So if you send it on Monday, you’ll receive it on Thursday by 1 pm. We also offer a while you wait repair, which takes about 2 hours. This is arranged by appointment only.